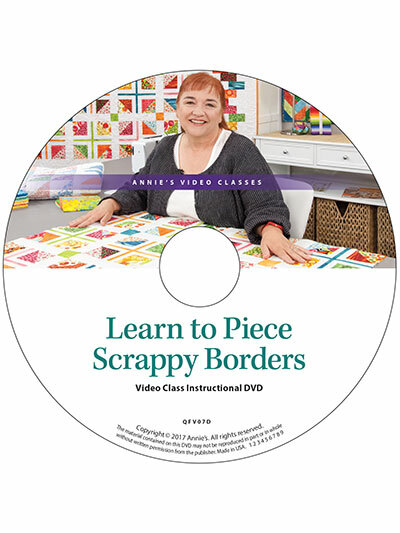 Finding the perfect border for your special quilt project has just become a snap with the four unique pieced scrappy borders found in this class. 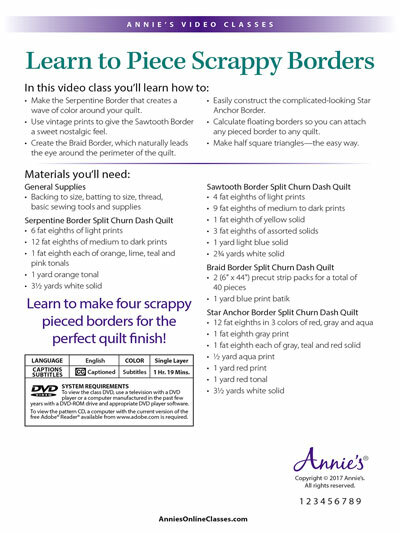 Join quilting expert Annie Smith as she takes you through the process of piecing each border and learn the secret to achieving a controlled scrappy border. 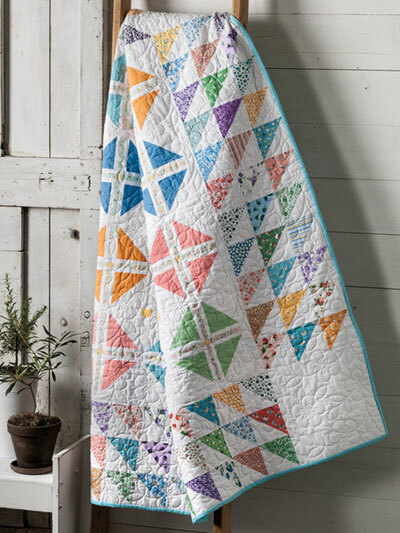 You'll also receive a bonus pattern for the Split Churn Dash quilt that you can use with any of the four borders. 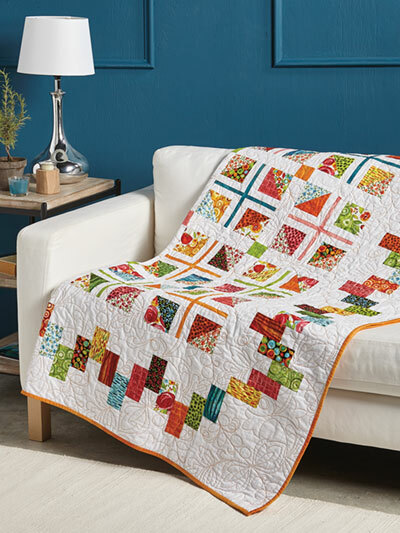 Make the Serpentine Border that creates a wave of color around your quilt. 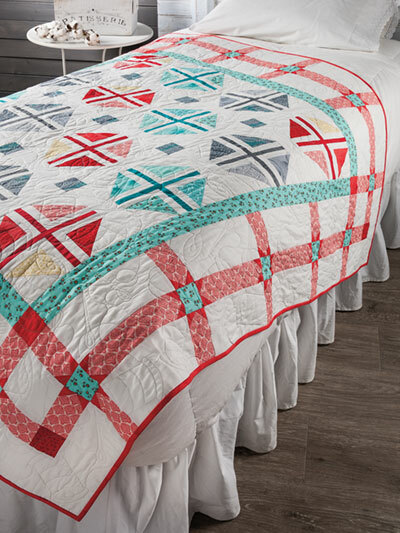 Use vintage prints to give the Sawtooth Border a sweet nostalgic feel. 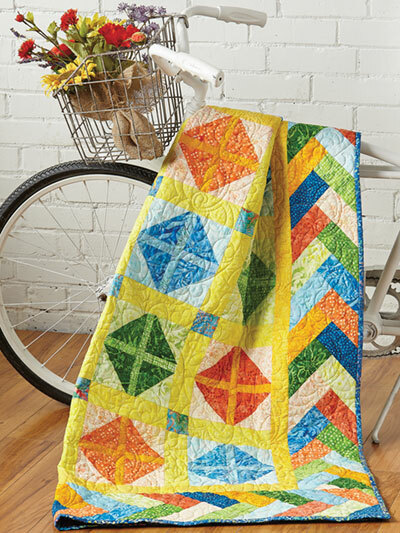 Create the Braid Border, which naturally leads the eye around the perimeter of the quilt. Easily construct the complicated-looking Star Anchor Border. 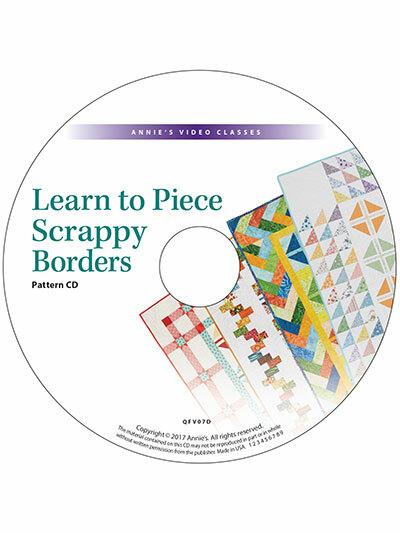 Calculate floating borders so you can attach any pieced border to any quilt. Make half square triangles—the easy way. 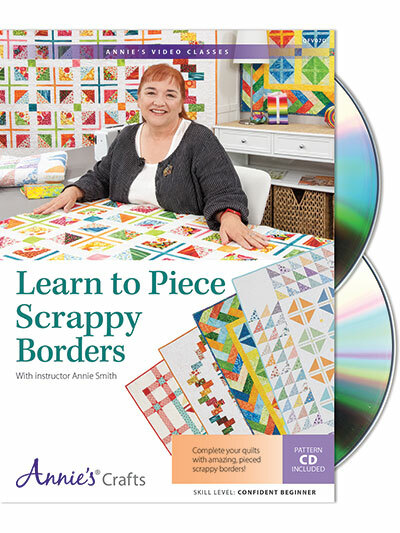 This class includes step-by-step instructions, patterns and diagrams to create the four beautiful exclusive-to-this-class scrappy pieced borders as well as the Split Churn Dash quilt.